Click HERE for the 2018 Race Awards! 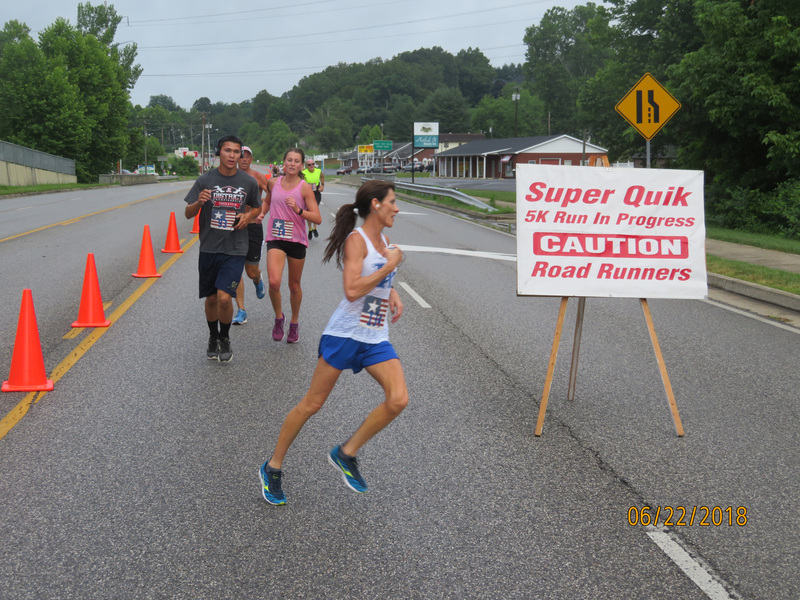 Rains held off and the 2018 Super Quik 5K was held on June 23rd under clear skies with a temperature of 74 degrees. 195 runners registered for the race with 168 completed the course. 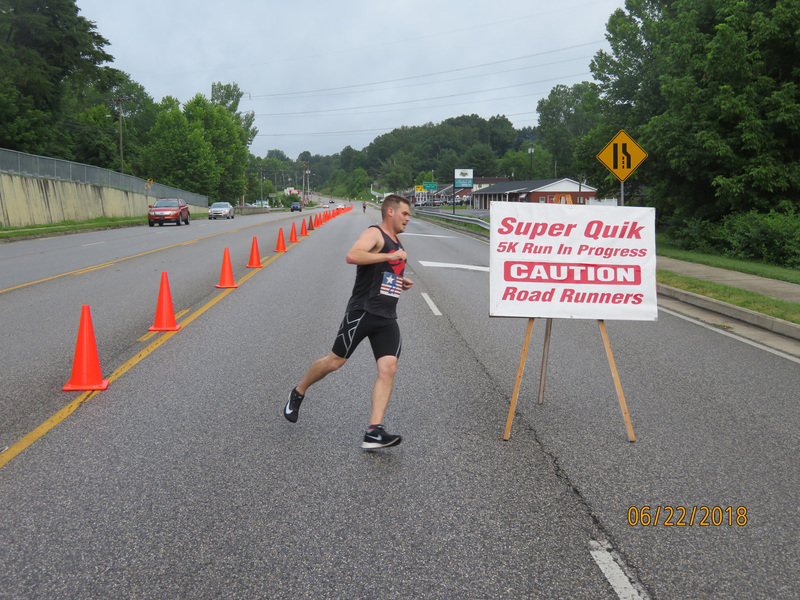 The overall male winner this year was Josh Holley from Milton, WV, who finished with a winning time of 17:36. 2nd place male was Richard Knupp from Russell with a time of 19:08. 3rd place male was Brian Shope with a time of 21:15. Taking the overall female winner again this year was Missy Moore from Ashland with a time of 21:01. 2nd place female was Kara Coldiron from Greenup with a time of 21:26. 3rd place female was Kate Alvis from Frankfort, KY. With a time of 23:53. 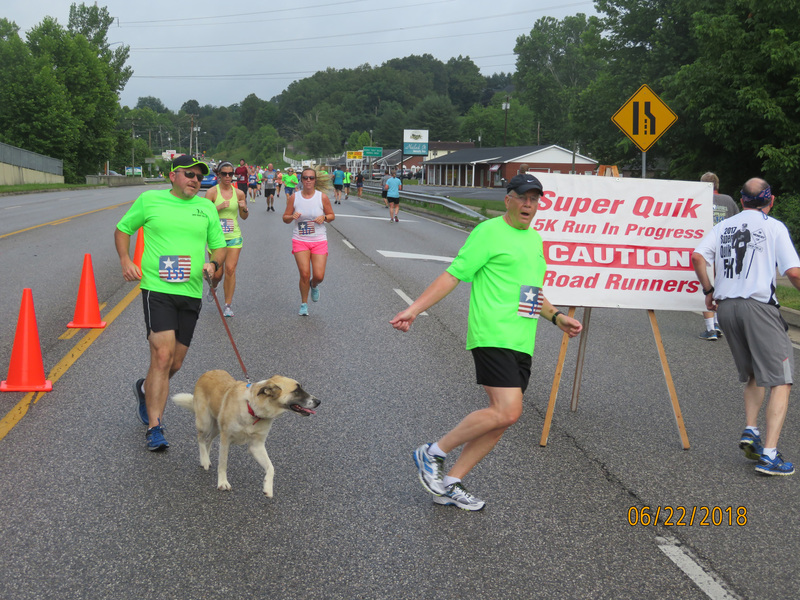 This year’s race was dedicated to the memory of Frank Lumberg, who passed last year. 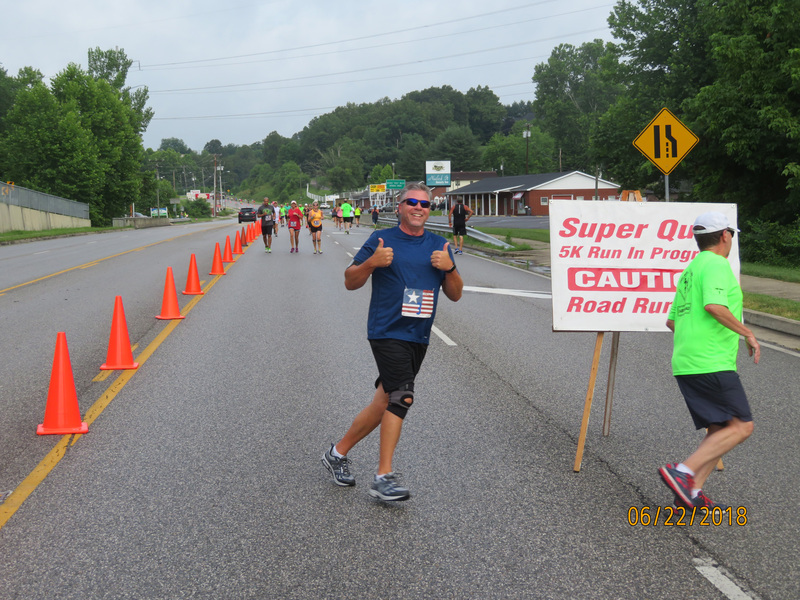 Frank participated in every Super Quik 5K race since its start in 1996. He was always the first to register which gave him the distinction of racing with the #1 bib. Frank was an avid runner and a fixture on the regional road racing circuit. He was a charter member of the “Ashland Up and Running Club”. 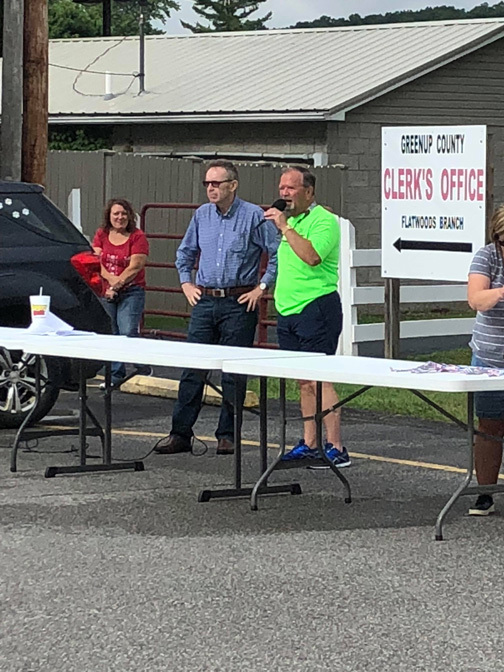 After his retirement from Ashland Oil, he was a dedicated volunteer for several organizations, among which were the Kings Daughter's Medical Center, Our Lady of Bellefonte Hospital, River Cities Harvest, and Community Hospice. Franks daughter Julie Lumberg ran the race wearing Franks #1 bib which was retired after the race. 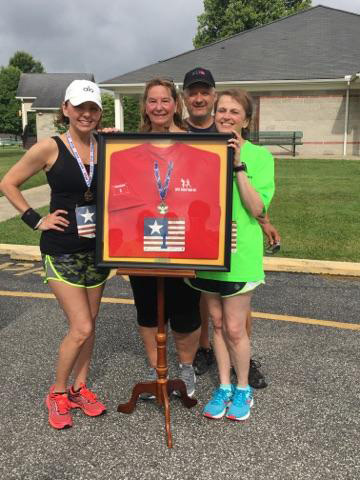 Franks last race shirt, medal, and this years #1 bib was presented to the Lumberg family encased in a shadow box as a tribute to Frank. As always, our race presented to all runners the best goodie bag and race shirt in the area. After the race all runners enjoyed the ice-cold drinks, ice cream and fresh fruit to recover. Make sure you remember to attend the best race in the area next year. See you then!